…a big high five for this very professional optometry establishment! Home » » …a big high five for this very professional optometry establishment! I would like to say a big high five for this very professional optometry establishment. 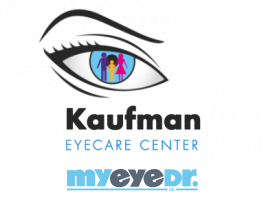 The optometrist, Dr. Kaufman, was professional, friendly and made me feel like my eyes were so important to him. He took the time to take my history and make sure he had all the information before making a diagnosis. This business is very friendly and warm and inviting. I highly recommend him and his group.